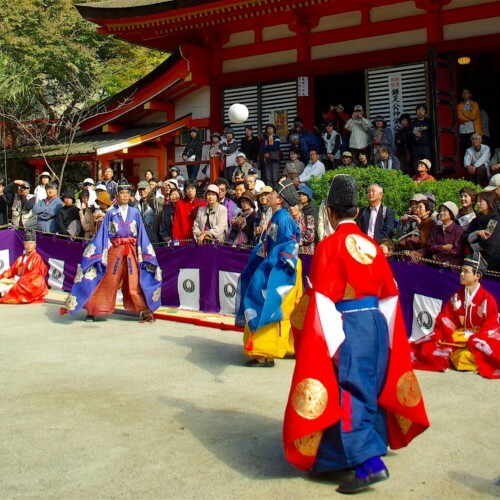 In March, before the approaching Spring, at the port city home to Shiogama Shrine, the Hote Matsuri is solemnly held as a way to ward off evil omens and fire related accidents. 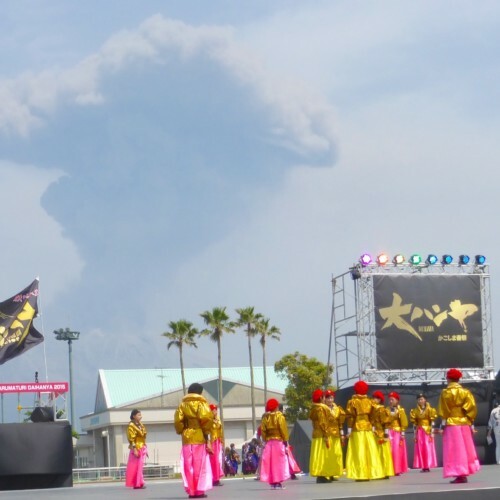 The highlight of this parade festival is the departure ceremony of the floats that starts at 11:30 am. 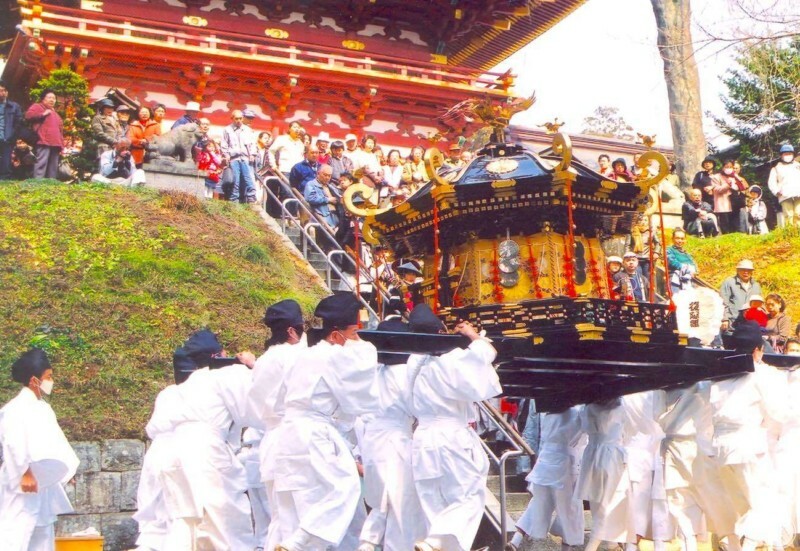 The sando (sacred walking path) on the Shiogama Shrine grounds is on a steep hill known as Omotezaka that contains 202 steps which local men descend carrying a one ton mikoshi (portable shrine) float. 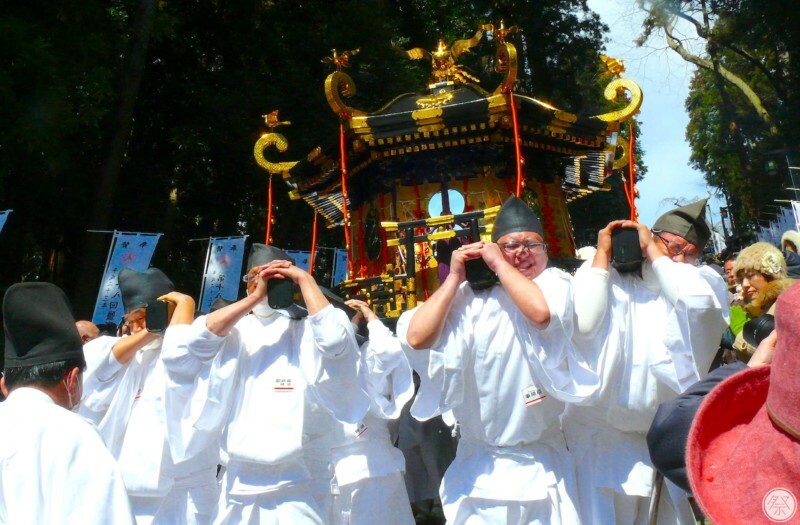 One misplaced step could spell danger, but these 16 young carriers show splendid team work as they carefully lower the mikoshi to the bottom of the hill. This kind of dangerous and bold parade is known as Aremikoshi and the Hote Matsuri is one of the largest in Japan. 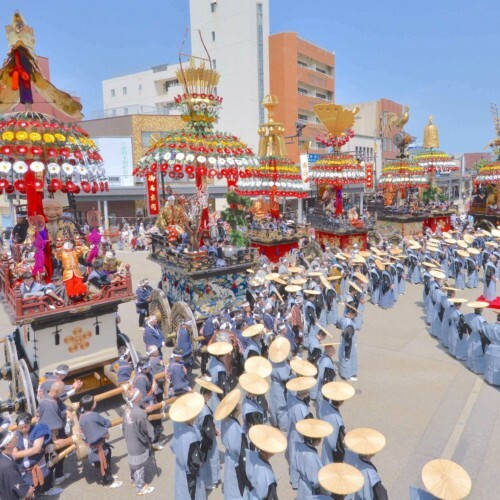 After the mikoshi is paraded around the city, it comes back to Shiogama Shrine and ascends back up the Omotezaka steps, so visitors have two opportunities to witness the spectacle. Come experience the men's passion first hand. 1. 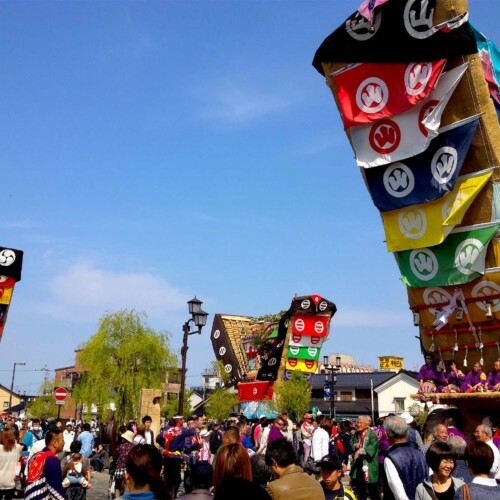 Take one of the two chances to watch the Aremikoshi! On the grounds of Shiogama Shrine stands a steep hill named Omotezaka that boasts a 202 step staircase. Carrying the mikoshi on these stairs is the highlight of this festival. 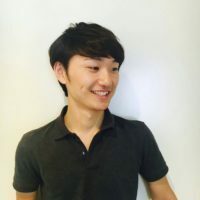 There are two opportunities to witness the highlight, when the mikoshi leaves at 11:30 am and when it returns after parading the city around 8:00 pm. It is quite a sight to see these men passionately working together to carry it around. Time your trip right and make sure to witness the excitement. 2. 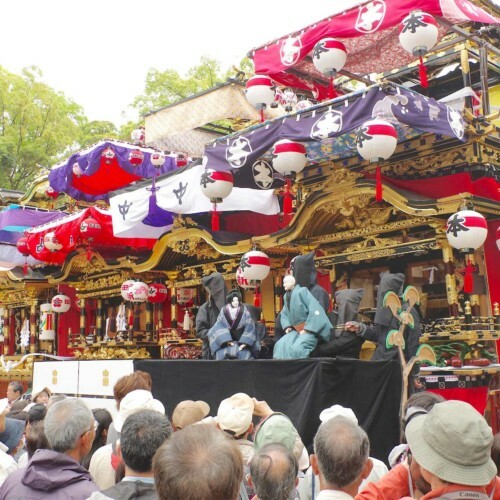 Take notice of the octagonal-shaped 1 ton mikoshi! The mikoshi at Shiogama Shrine weighs a whopping one ton. It has a rare octagonal shape and a mirror decorates each side. A total of 16 men hug the four carrying poles, eight men to a side. 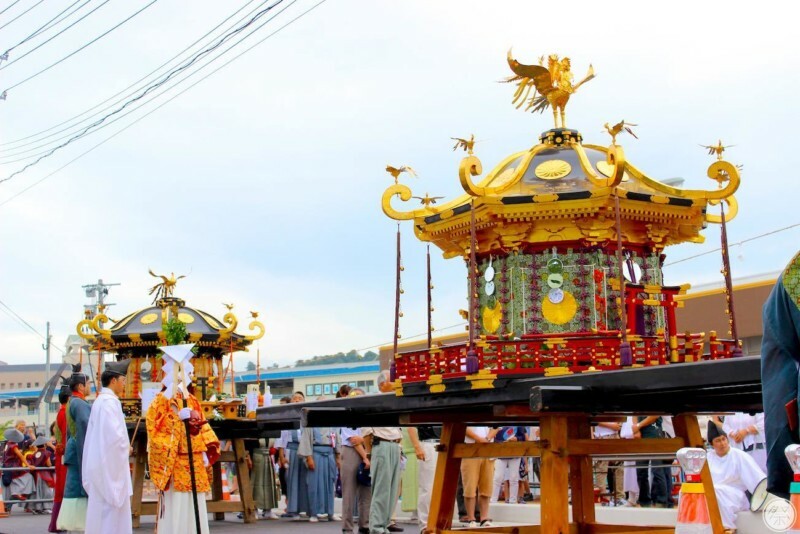 The mikoshi was made over 300 years ago and has survived to this day after many repairs. 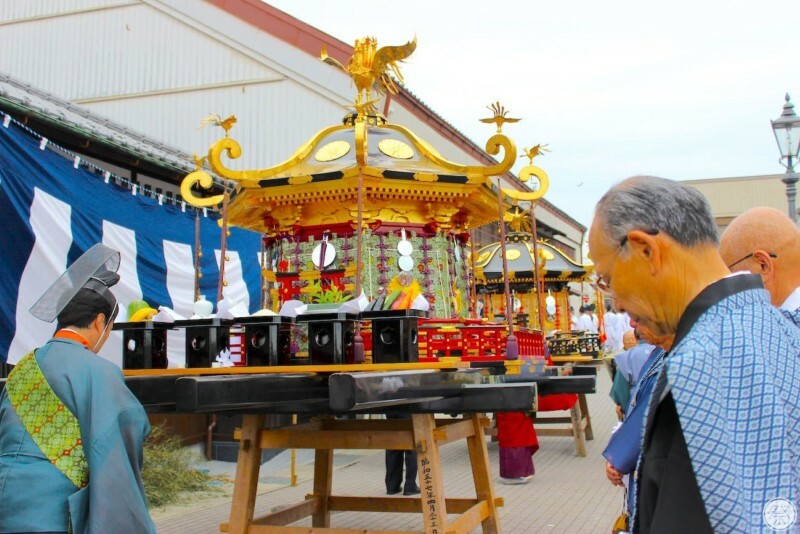 It's fun to watch the men boldly whisking this portable shrine around, but we recommend paying special attention to the build of the mikoshi itself. Entering the sectioned off parade course is prohibited. 15min walk from Honshiogama Station to the Omotesando (Omotezaka) hill. 7min walk to the stone arch at the back entrance. Take the Sanriku Expressway. 10min drive from Rifunaka Interchange.